Soggy waterlogged garden, muddy areas that hold water? York is a low lying area with heavy clay content soil. This does cause issues surrounding the drainage of most Home Owners and Landlords in the York area. 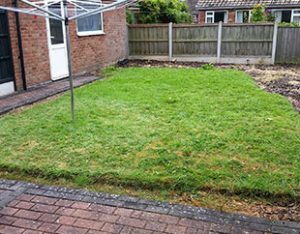 Adhoc Handyman Services provide a drainage service which will allow your garden to drain well, maintaining your grass quality and allowing you to use it as it is intended – to enjoy. 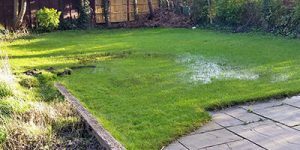 If you have a waterlogged garden and drainage issue there are options open to you. Please contact us to discuss which drainage option would be appropriate for your garden. 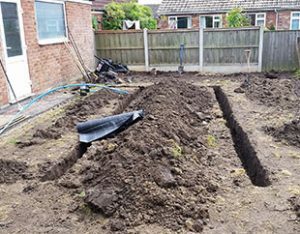 This is a drainage project in Earswick, York. 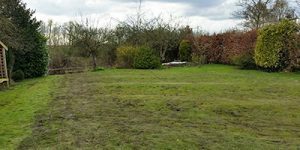 Extensive water logging was an issue and the customer could not use the large gardens for most of the year. The lawn was in a poor state with a large percentage of moss present. French drains were installed to manage the water levels and direct all excess water away from the property. Boards were used to protect the lawn and a digger was used to dig the drains. 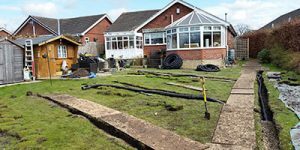 Over 20 tonnes of soil was removed and replaced with gravel lined drainage. The project took 5 days to complete. The image opposite is just after we had finished relaying the turf we had originally removed. Little damage has been done allowing the lawn to grow once more. 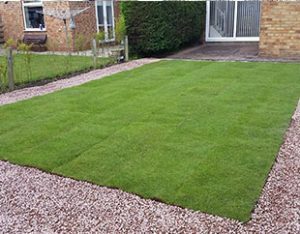 The elimination of standing water has resulted in a quality lawn allowing the customer to use their garden all year round. Can’t praise Matt enough for the fantastic job he’s done of drainage on our garden. He worked like a trojan to finish it on time despite the awful weather. If you want someone reliable and trustworthy Matt’s your man. A sample of the garden drainage we have completed. To see more work, please visit our latest projects pages.